Corn dogs are a great summertime treat. Slather them in ketchup and mustard and serve them with a side of baked beans — you’ve got the perfect picnic lunch. Of course, if you’re a vegetarian, you’ll usually have to skip this summer tradition. Unless, of course, you find some vegetarian corn dogs. 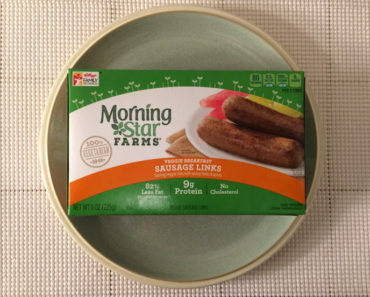 As one of the go-to brands in the world of vegetarian meat substitutes, it’s no surprise that Morningstar Farms has a vegetarian version of corn dogs in their lineup. These Veggie Classics Corn Dogs are designed for snacking, and they come four in a box. Because the instructions on the packaging were so adamant about it, we decided to cook these in the oven instead of the microwave. We preheated to 375 degrees fahrenheit, threw some veggie corn dogs onto a baking sheet, and heated them for 20 minutes, flipping them over about halfway through. Of course, they do tend to roll around a bit, so getting them to flip exactly 180 degrees is a little tricky. Not all veggie corn dogs are equal. 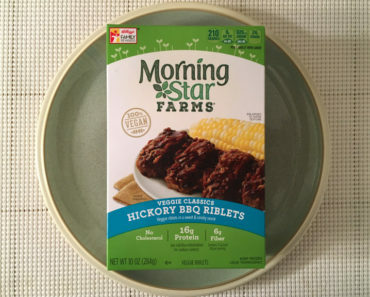 Some are delicious, while others are just corn meal shells stuffed with foul-tasting meat substitutes. 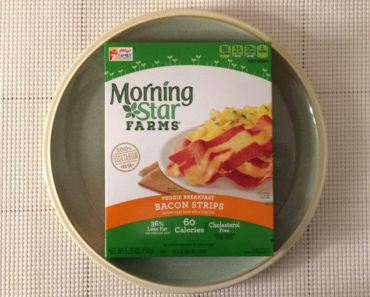 Morningstar Farms is a company that gets them right. These have an outer shell with a nice cornbread-ish taste. 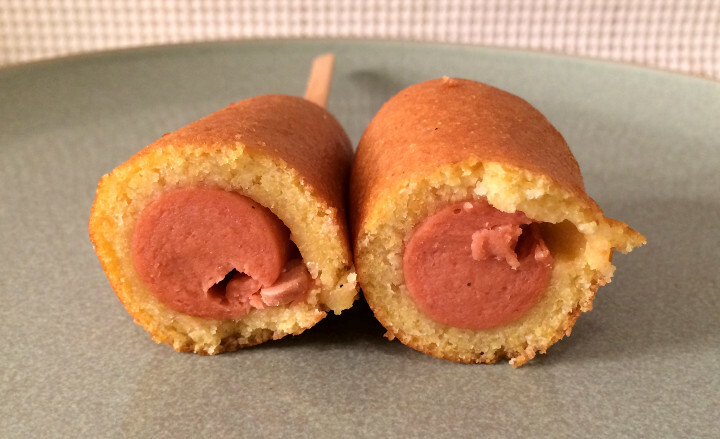 It’s crispy on the outside and soft on the inside, which is exactly how a corn dog shell should be. The vegetarian hot dog is a pretty good imitation. 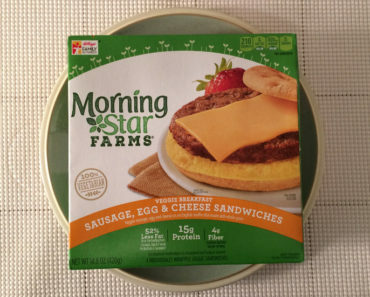 It doesn’t have exactly the right consistency, but it’s close enough that once you dip one of these in ketchup, you might not even notice they’re not the real thing. 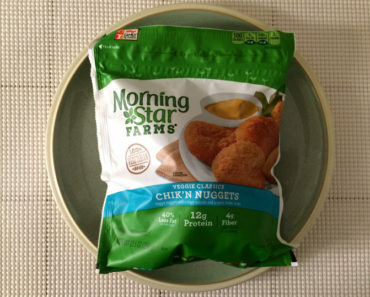 Since one corn dog has 150 calories (and only 25 from fat), you can eat two of these in a sitting without feeling guilty about it. Of course, if you dip them in ketchup and mustard — which is the ideal way to eat a corn dog — keep in mind that you’re adding calories. 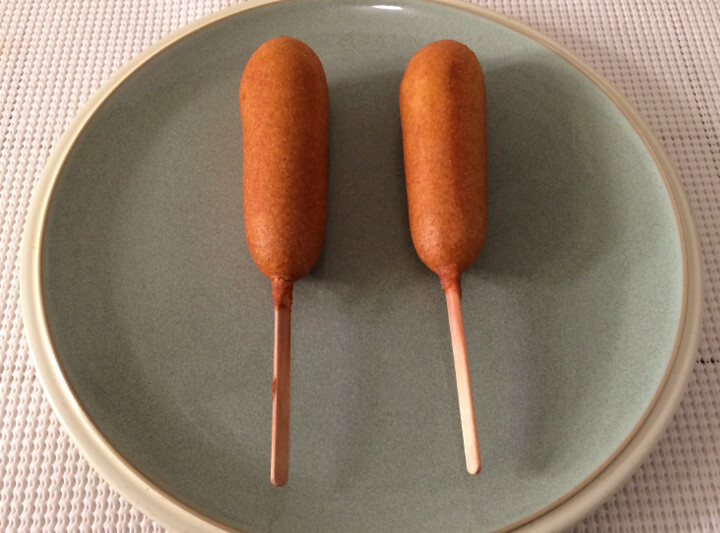 A corn dog also has 450 mg of sodium, so doubling up is not a great idea if you’re trying to watch your sodium levels. 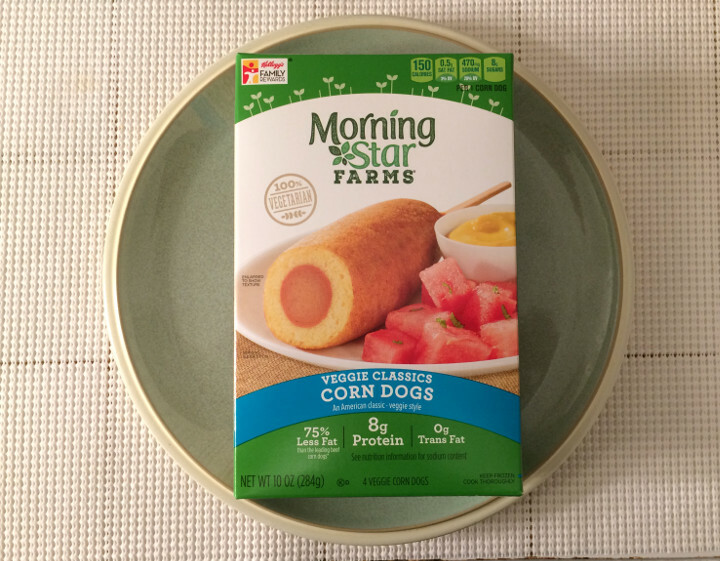 Morningstar Farms really hit a home run with their vegetarian Corn Dogs. 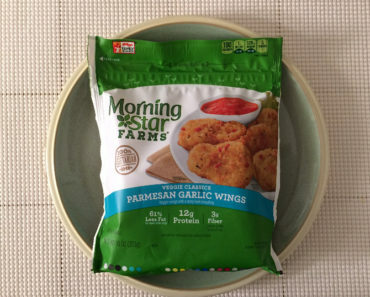 These taste great, and they avoid many of the pitfalls that sink lesser veggie corn dogs. These taste like a wonderful summertime outing. If you’re curious about the nutrition content or ingredients of these vegetarian corn dogs, check out our package scan below.